Wasted energy flows down the drain every day in the form of warm waste water. So, we made it our mission to come up with a solution. 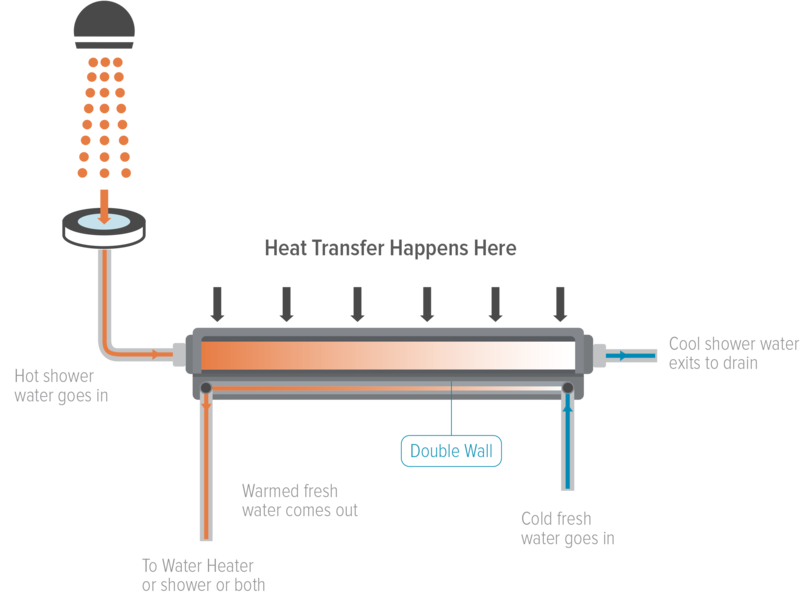 The solution is EcoDrain™: a family of easy-to-install, next-generation heat exchangers that capture the energy from your shower’s hot water. Turns out it's one of the simplest, most cost effective home improvements you can make. Assumes 3 - 10 minute showers per day. Savings can be higher or lower depending on specific conditions. A hot shower never felt better so… on occasion you may choose to indulge. And why not? With the increased efficiency every shower you take can be 33% longer without increasing your carbon footprint or the amount you spend on electricity. What goes on inside EcoDrain™? 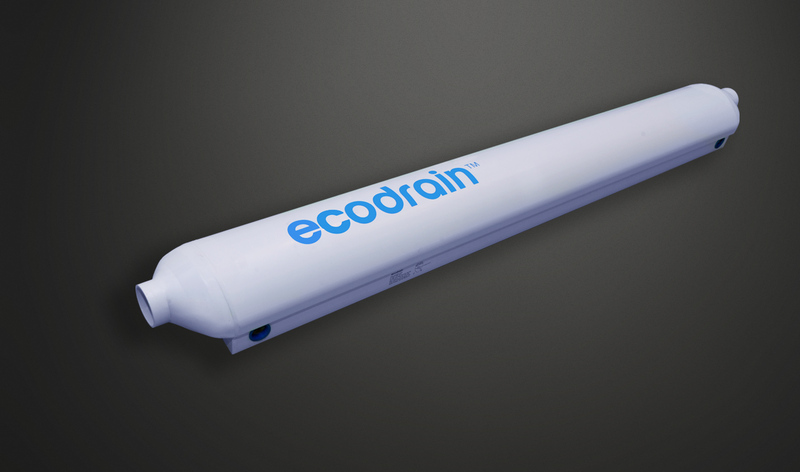 A lot, even though there are no moving parts and EcoDrain™ requires no electricity to operate. Inside, a specifically engineered piping configuration transfers heat energy from the hot shower water to the incoming fresh water supply. And, a patent-pending device optimizes turbulence in the fresh water supply for maximum energy recovery. Rest assured that the hot shower water never comes in contact with the fresh water supply. Each flows through separate pipes in a double walled system and cannot mix. If you are redoing one or more bathrooms, building a new home or choosing new bathroom fixtures, it’s the ideal time to install EcoDrain™. To maximize ease of installation, we designed EcoDrain™ systems to work in several different configurations. So, even if you are not building or remodeling, a plumber or a handy do-it-yourselfer can install EcoDrain™ at any time. Ready to save money, reduce your carbon footprint or simply enjoy more hot water? 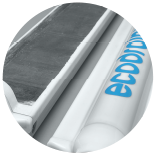 EcoDrain™ is available for shipping today.